Audi customers can enjoy visiting Connolly Motor Group's new state-of-the-art Audi terminal in Ballybrit, Galway. The new showrooms opened recently after a €5m investment, increasing full time staff levels in Galway to 35 of the group's total of 200. Finished to the highest spec with the most up-to-date technology, the 23,000sq ft car retail facility is based on Audi’s newest design concept and boasts multiple power points for electric vehicles. The spacious showroom can display 15 cars, with another 180 car spaces outside. It also houses a 12-bay fully diagnostic workshop and a five-bay valet building with a new video studio turntable to create video clips for all stock for potential customers to view. Run by brothers Kevin and Neil Connolly, the Connolly Motor Group operates multiple similar dealerships across Galway, Mayo and Sligo, selling more than 4,000 retail cars per year. It is a huge success story in the west of Ireland which began from humble beginnings when Thomas Connolly first opened the family business in 1939. His son Kevin worked in the garage until the 1960s when he went to New York and set up the Amoco gas and service station in the Bronx, and on returning to Ireland with his family in the mid-1980s, he set up in business three doors down from his father’s original garage. In 1987, he was appointed the main dealer for Volkswagen and Audi for Mayo, and was then joined in the business by his sons Kevin and Neil in the 1990s. 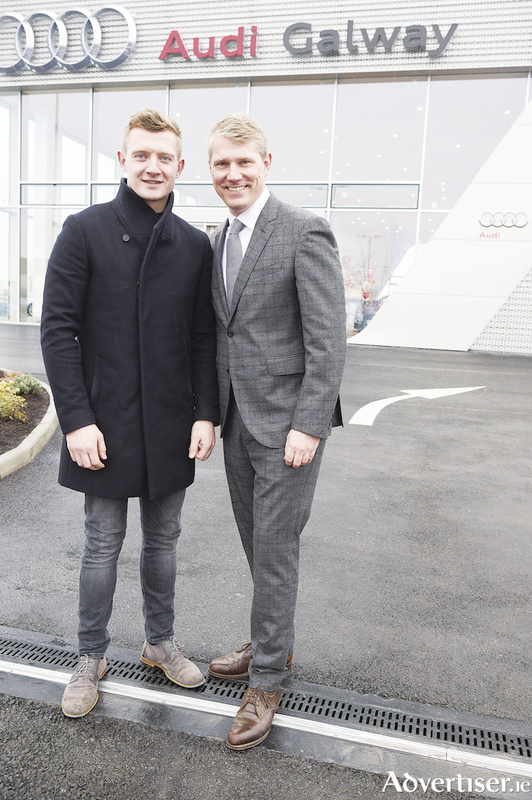 The family business continued to develop and in 2007, the brothers were appointed the main dealer for VW and Audi in Sligo and opened a state-of-the-art Audi Sligo Terminal in 2011 before Audi Galway opened in Ballybrit.